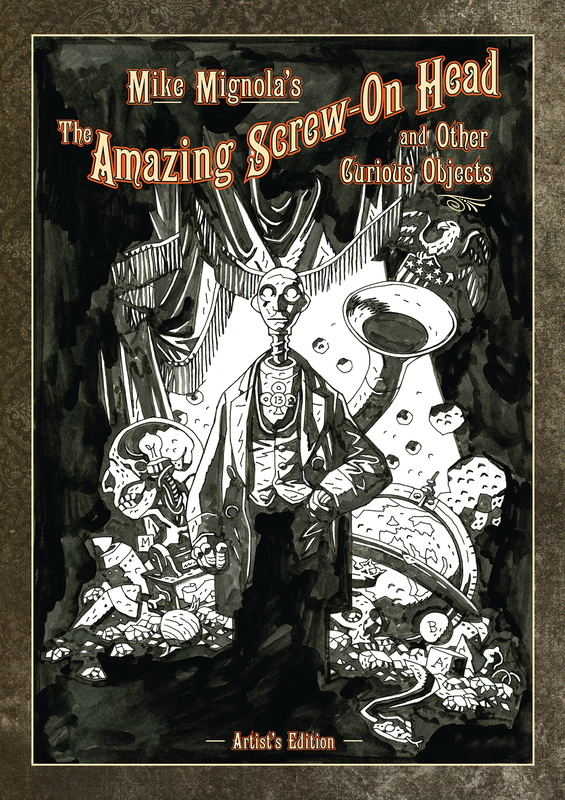 Mike Mignola’s The Amazing Screw-On Head and Other Curious Objects: Artist’s Edition is a very large (430 x 280mm) hardcover book that presents the original black and white art pages created by Mignola for Amazing Screw-on Head. 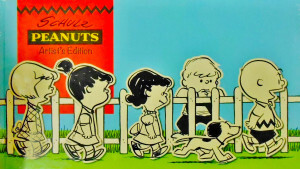 His art has been photographically scanned in colour at very high resolution and reproduced actual size, on heavyweight paper to produce the sensation of looking at original drawings exactly as created by the artist with all the marks, corrections and artefacts visible. 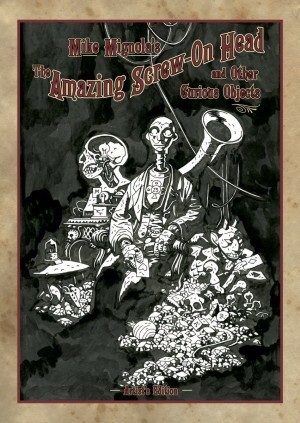 This book features all the pages drawn for the 2010 collection of Amazing Screw-on Head, including cover art and pin-ups. 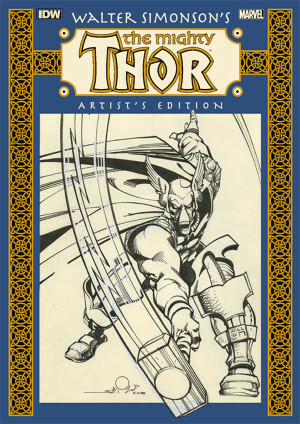 It also includes pages of art from other stories: two Hellboy tales, ‘Exorcist of Vorsk’, and ‘The Goon’; a short called ‘Rusty Razorclaw’, and the original version of ‘Abu Gung and the Beanstalk’ published in a 1998 Dark Horse anthology called Scatterbrain. Lastly, there are 43 pages of covers and pin-ups for books including Hellboy in Hell, Hellboy and the B.P.R.D., Abe Sapien, B.P.R.D., Baltimore and others. 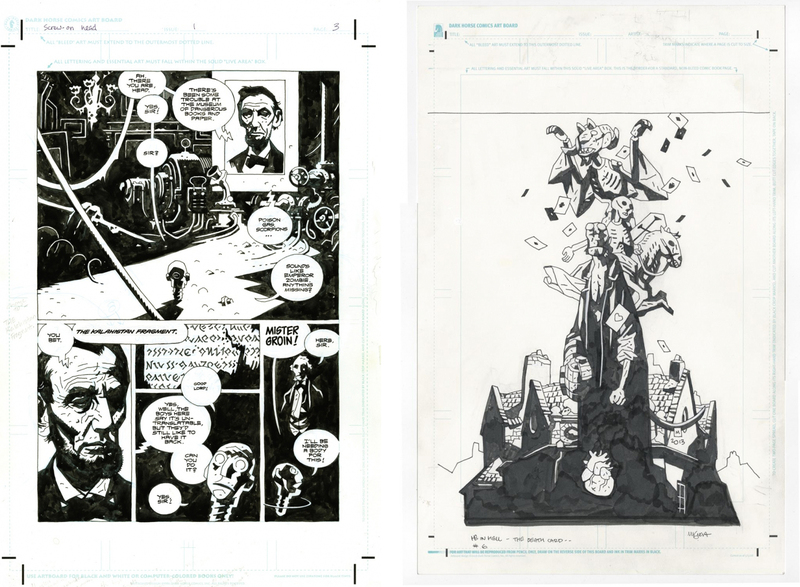 This is the second volume of Mike Mignola’s original art to receive the Artist’s Edition treatment, and as with the Hellboy In Hell and Other Stories: Artist’s Edition, these pages look very different from their final printed form. 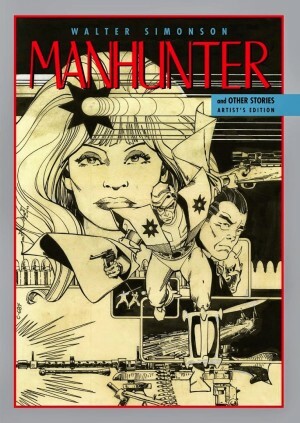 They also look different from the pages reproduced in the previous Artist’s Edition. Perhaps in response to a number of comments from fans about the lack of detail in the Hellboy In Hell AE, there has been some adjustment to the scanning process and the art in this volume is less contrasty, not as flat black as the first book. These pages are greyer, showing a lot more texture from overlapping brushstrokes, ink and pencil marks. 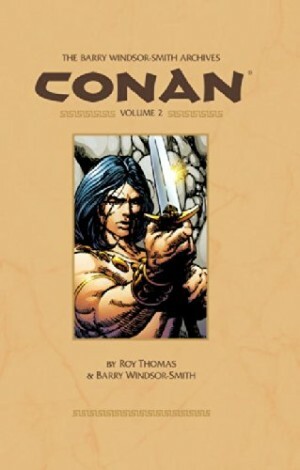 Four stories collected here, The Prisoner of Mars’, ‘Abu Gung and the Beanstalk’, ‘The Witch and her Soul’ and ‘Exorcist of Vorsk’ are art only, with no speech balloons or captions. As with all Mignola’s later work after 2009 or so, text was added digitally to these strips before printing, and the only lettering on these pages is sound effects. Fans of Mignola will find this book essential, collecting a great variety of covers, recent strips and some curios in one place.